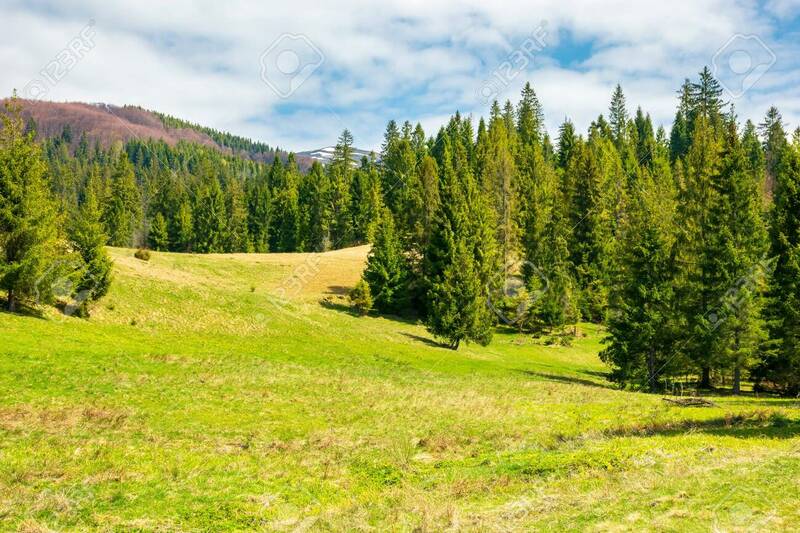 Spruce Trees On Grassy Meadow. Mountain Ridge With Snowy Tops.. Stock Photo, Picture And Royalty Free Image. Image 113787359.